Key Races & Bets from around the country plus handicapping advice you can profit from. On this week's Key Races & Bets podcast, there's a horse I've been waiting to run since last year which kicks off the action. Then we move to some decent opportunities at Laurel, as well as a couple of stakes at Charles Town Races on their biggest day of the year featuring the $1 million Charles Town Classic Stakes. This week's Key Races & Bets Podcast (and the similar blog at Amwager.com) covers a great three race sequence of stakes races at Keeneland including the Stonestreet Lexington Stakes where a number of horses, among them Anothertwistafate, is hoping to punch his ticket to the Derby. Bonus coverage of the Arkansas Derby is included as well. 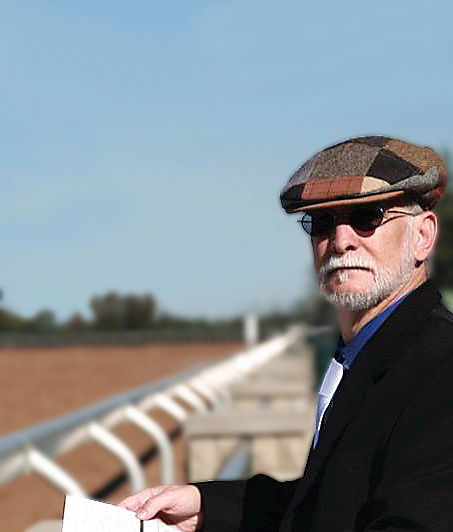 Great, and hopefully profitable, stakes races at Keeneland, Aqueduct & Santa Anita are covered on this weeks podcast including two important Kentucky Derby prep races - The Wood Memorial at Aqueduct and the Santa Anita Derby. This week's Key Races & Bets podcast features a great betting race, the Florida Derby. Hear my thoughts on that important Road to the Derby race, the Pan American Stakes right before it at Gulfstream Park, and a pair of stakes which kick off a big weekend at Santa Anita. Exciting and important races on both Saturday, March 23 and Sunday, March 24 make up this week's Key Races & Bets Podcast. Stakes at Aqueduct, Gulfstream and Fair Grounds on Saturday are the lead in to the Sunland Park Oaks and Sunland Park Derby on Sunday. Today's Key Races & Bets podcast covers some great racing at Laurel Park in Maryland and at Gulfstream Park in Florida, also touching on the Rebel Stakes at Oaklawn Park, this weekend's big Kentucky Derby prep race. With a fantastic card available this weekend at Tampa Bay Downs, including the Tampa Bay Derby (an important Road to the Derby points race), this week's podcast tackles four straight stakes races ending with the Derby. With a fantastic card of stakes at Gulfstream Park, this week's Key Races & Bets focuses on five of the big races at the South Florida track, including the all-important Kentucky Derby (and Florida Derby) prep - The Fountain of Youth Stakes. This week's Key Races & Bets podcast starts with a fantastic race at Gulfstream Park, the Hal's Hope Stakes (with a 20/1 shot who has a legitimate chace) and includes The Texas Glitter Stakes (a turf sprint). Then we shift to California for the Buena Vista Stakes on turf and some late double action. This weeks Key Races & Bets podcast features a trio of very interesting stakes races at Laurel including the General George and Barbara Fritchie. Also part of the action is the El Camino Real Derby at Golden Gate Fields, a "Road to the Derby" race.